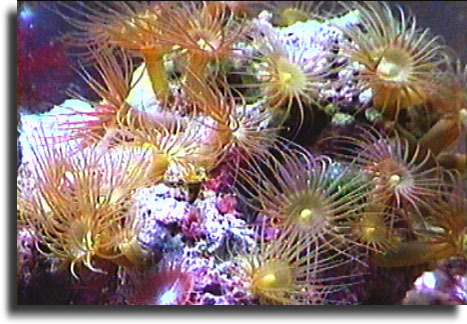 Yellow Polyps -- Parazoanthus Sp. These are missing from the main tank photo because they were added after it was taken. Nonetheless I have only owned these for about a month, and they appear to be starting to multiply and spread.